A consult and/or equipment training is approximately one hour. Brenda Luntzel is our Fitness Specialist at the Recreation and Aquatic Center. Brenda’s hours vary. If you want to schedule any training on fitness equipment or need assistance with your current or new exercise program design, please fill out an appointment form or call her directly. Please call 541-574-5863 to contact her. Brenda is certified both as a Personal Trainer and Medical Exercise Specialist from American Council on Exercise (ACE). 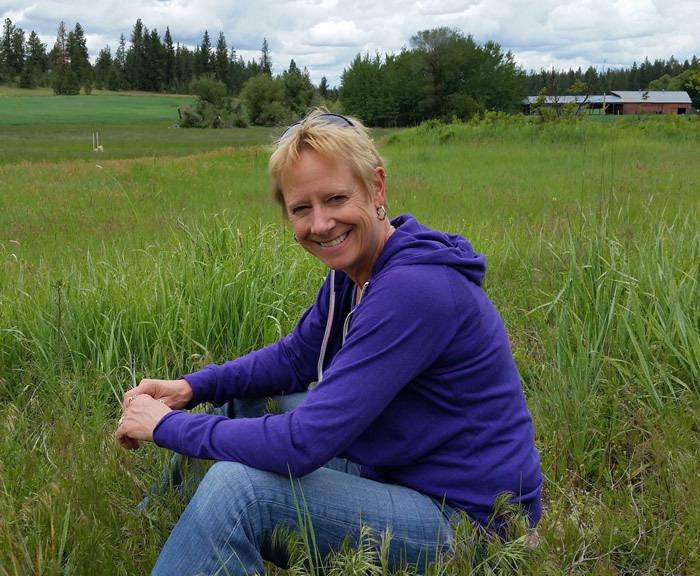 She has 35 years of experience in fitness management and teaching land and water group exercise that includes both the YMCA of the Inland Northwest and Rockwood Retirement Community in Spokane, Washington. She has focused on creating exercise programs for adults to include core strength, posturing, and balance as they relate to functional fitness or to meet special needs. She has experience working with any age group. Includes a warm-up, moderate intensity aerobic patterns, and body conditioning using a variety of exercise toys. Both standing and floor exercises that work the core. This class focuses on different ways to stretch to improve flexibility and range of motion. Learn how to stretch the right way and what muscles need to be stretched for spinal health, posture and injury prevention. Stretches are done in a chair and on mats. An interval class combining floor & step movement intervals along with muscle conditioning intervals using mats and standing exercises. Good stretching at the end! Tuesdays & Thursdays, 10:15 – 11:15 a.m. This high energy class offers low or high impact aerobics PLUS mat exercises that help tone and strengthen joints and muscles. Drop-ins welcome! A fun seated and standing fitness class that includes active stretching, brain fitness, muscle conditioning and some balance. This class is great for new exercisers, older adults, post rehab, or anyone wanting a quick, versatile and fun workout. Try it as a warm up or cool down to complement your exercise routine. Mondays & Fridays 5:30 – 6:30 p.m.
Wednesdays 4:30 – 5:30 p.m. Learn traditional and Olympic styles with USTU, WRF certified instructor. Increase confidence, physical fitness, flexibility, strength, and self-discipline while becoming part of this exciting sport. Try the first two classes for free and see if you like it.